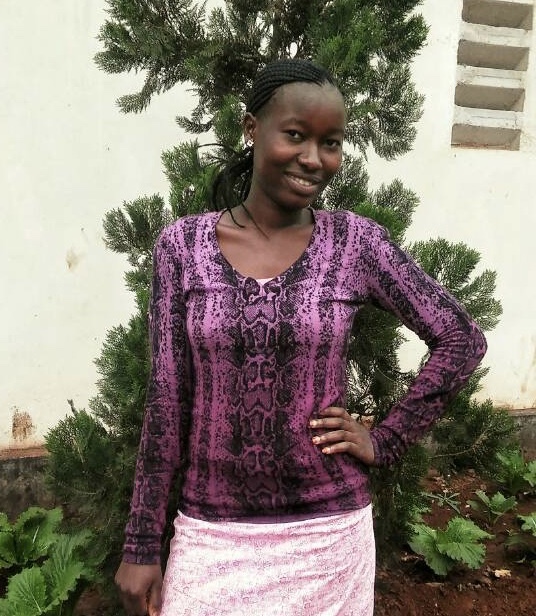 Neema joined African Impact Community English class as a student in February 2017 .Since then she has volunteered on the Girl Impact project supporting workshops in Secondary Schools, successfully interviewed for 6 Rafiki Walking Tours (an income generation enterprise supported by African Impact) and this month, we happily invited her onto the African Impact staff team to support the Maasai Town project teaching Maasai to read and write Kiswahili and English. Today, we took 10 minutes out of her busy project schedule to ask Neema some questions about her experience with African Impact, and on the Girl Impact Project. So, Neema, when did you first hear about African Impact? My friend, Alice, she told me about English Language classes that African Impact were doing. We went to school together but she is a year older than me. I started coming to classes in February 2017 and went to Intermediate first, then graduated into Advanced. What was your first lesson like? I found it hard for the first few weeks because it was my first time to be speaking English so much. But I liked that I had the opportunity to have conversations and debates, especially debates about gender – like if the next president of Tanzania should be a woman! It shows that women are equal and can do great things too. And then you joined our Girl Impact workshop leaders! How did it feel doing your first Girl Impact workshop? It was so hard to stand in front of students and speak, but after doing the projects for a few days I gained confidence because of the people I was working with – other volunteers and African Impact staff members. All of the workshops are really interesting. The most recent one that we’ve done in Kimochi Secondary about problem solving and peer pressure was great for the students because these are the things that they understand, and it is so helpful for when they face those type of challenges. That’s what’s going on in our community right now. One day, when you run your own project – what will it be? The most important thing is about gender balance because it can help everyone to be respected without looking at the gender stereotypes, for example in jobs, like engineers and mechanics – people think that males are the only people who can do that but girls can too! Thanks Neema – now for some fun questions! You work with people from all around the world – what have you learnt about different cultures? I have met new people, and I meet more new people every day- I have learnt about different foods and dances – for example here in Tanzania, we can’t eat snails but in France they do! What do you love about African Impact? There is so much co-operation here and friendship – everyone is lovely! If you had one wish in the whole world, what would you wish for? I would wish that people would help others. What do you love about Tanzania? What is your mum called? If you could travel to any country in the world, where would you go? Scotland because I’ve heard there is a lot to see, and I want to see how the queen rules the UK!